Come to visit Aranjuez! 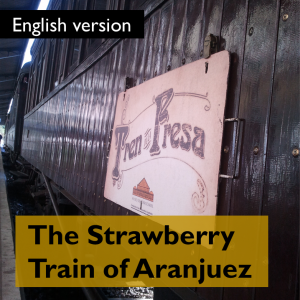 Beginning the spring and fall seasons, run The Strawberry Train which tours between Madrid and Aranjuez. Strawberry Train invites you to taste the best strawberries of Spain and visit the beautiful Royal Palace of Aranjuez, where Spanish kings spent their spring and fall seasons during 19th and 20th centuries. What is the Strawberry Train? 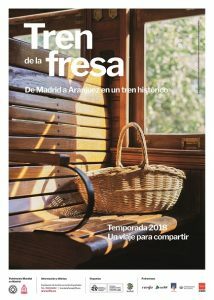 Last centuries, the Queen Isabel II ordered Marquis of Salamanca to build a train that connects Madrid and her palace for spring and fall seasons in Aranjuez. At the beginning this train was used only by Spanish royal court. However, later the people of Aranjuez used it to transport the best strawberry to the capital. This train started to run on 9 February 1851, when the first train took Isabel II to the entrance stairs of the Royal Palace. Years later, the first station was built to be used by the rest of the population. Today this station does not exist. We have to mention that this was the second train line in Spain, after Barcelona-Mataró which opened in 1848 to transport the workers of Barcelona´s suburbs. Curiously, the very first train line built by Spaniards was in Cuba which was a Spanish colony at that time. Years later, the Spanish goverment ordered to build a new station in Aranjuez (between 1922-1927) by MZA Company (Madrid-Zaragoza-Alicante Railways company). This way, the railway never finished in previous Aranjuez station like before was happening. New stations were built and new routes and destinations were developed over the following years. What does the Strawberry Train trip offers? On the trip, you can taste the strawberries grown in Aranjuez. These delicious strawberries are grown in a good soil and a special care is taken of them. The strawberry season is from May till the end of summer. Also can enjoy several visits included in the same pack offered by National Heritage: the Royal Palace (guided tour), the Royal Gardens (free entry), and the Museum of the Royal Barges (free tour). Where does the trip to Aranjuez start? The trip always begins on Príncipe Pío Station (Madrid). 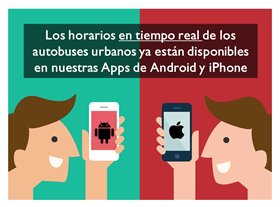 You can get there by Cercanías Renfe (lines C-1 and C-10), and also Metro of Madrid (line 6, 10 and Ramal line from Ópera metro station). Once in Aranjuez, depending on the chosen route, a guided tour (45 minutes) enables passengers to explore the Royal Palace, located between the Tajo River and one of its tributaries, the Jarama, surrounded by beautiful gardens (Parterre, Prince’s Garden and the Island Garden), whilst the Falúas Museum, where the royal pleasure boats and those that made up the Tajo Fleet in the 17th century can be visited. Other options: a trip along the Tajo aboard the Aranjuez Tourist Boat (45 minutes, drink included), ride on the Chiquitrén tourist train for children or a route especially designed for wine lovers, including a visit to a winery and a sampling. Departure from Principe Pio Station 09:50 h.
Arrival to Aranjuez Station 10:44 h.
Departure from Aranjuez Station 18:55 h.
Arrival to Príncipe Pío Station 19:48 h.
*Special visit on 19 May to mark the Ancient Music Festival (Departure at 11am and return at 9.50pm, including the two concerts in the afternoon). Pre-sale tickets are available on railway stations (e.g. 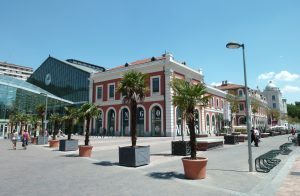 Atocha, Chamartín, Aranjuez stations). P.S. Unfortunately, on the Renfe webpage the procedure of purchase is available justin Spanish. If you have any questions or problems, please, contact us or Renfe Company for further information. We have released a new post with information detailed, for abroad people who are interested about The Strawberry Train. If, by a chance, you meet international people, this is a fine way to let them know about your town and this train. things to do in Spain, places to visit in Spain and eveything you need to know about Spain tourist attractions on tourist tube web.